Compact, powerful, manoeuvrable, easy to operate and above all adaptable to specific customer requirements. The solution for all your full pallet and order picking requirements in VNA applications. The operator has a perfect view of the load and surroundings at all times. Thanks to a clever design and modular construction, the EK Series is suitable for all kinds of VNA applications. Incorporating a modular design and construction, the EK Series offers a variety of features and adjustments so that each machine can be tailored to your logistical needs. These aren’t just small technical changes or variations in performance, ergonomics or operational parameters; sometimes an application can require a completely new design. 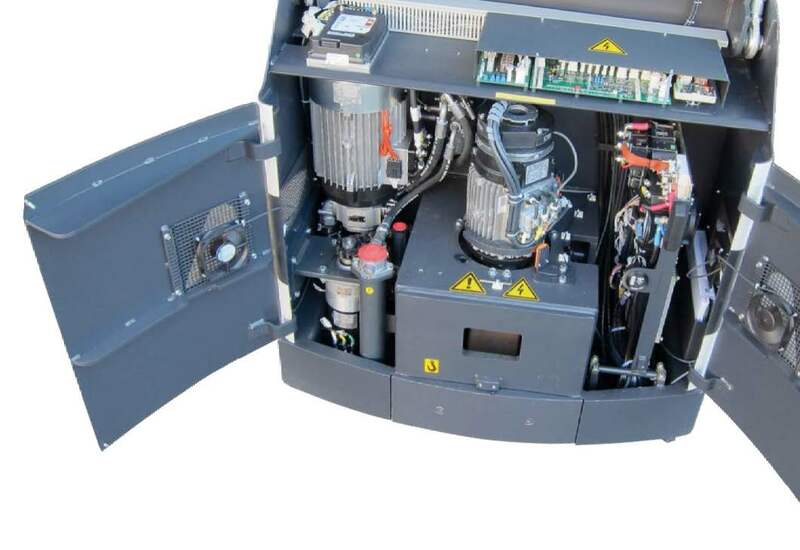 UniCarriers works closely with its customers and this forms the basis of the customised machines; from the design as well as the after sales service and support. 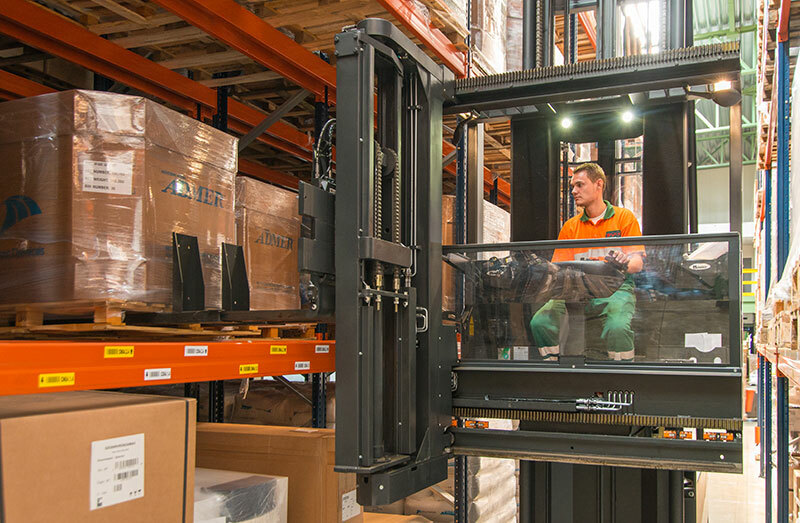 The EK Series consists of 7 high performance models that make optimal use of space with a minimum chassis width of just 1000mm and maximum lifting height of over 17 metres. Each model, from the compact EK 1100 to the heavy lifting EK 2000, is optimised to meet the specific application requirements. The truck provides outstanding performance, an ergonomic spacious cab and minimum maintenance costs. Are you interested in the UniCarriers EK? Want to know more? Click the button below to read or download the brochure. Picking options include lean-out side gates, split controls and unique tilting controls. When picking on a Man-Up VNA truck, operators often say they’d like to be able to simply move the controls out of the way. Now they can. The unique tilting control panel allows operators to effortlessly move the controls to one side, meaning they no longer have to awkwardly lean over the control panel to build the picked load. This feature perfectly compliments the lean-out side gates that allow operators to more easily access items from racking. The EK Series makes picking easier, safer and less strenuous for operators. 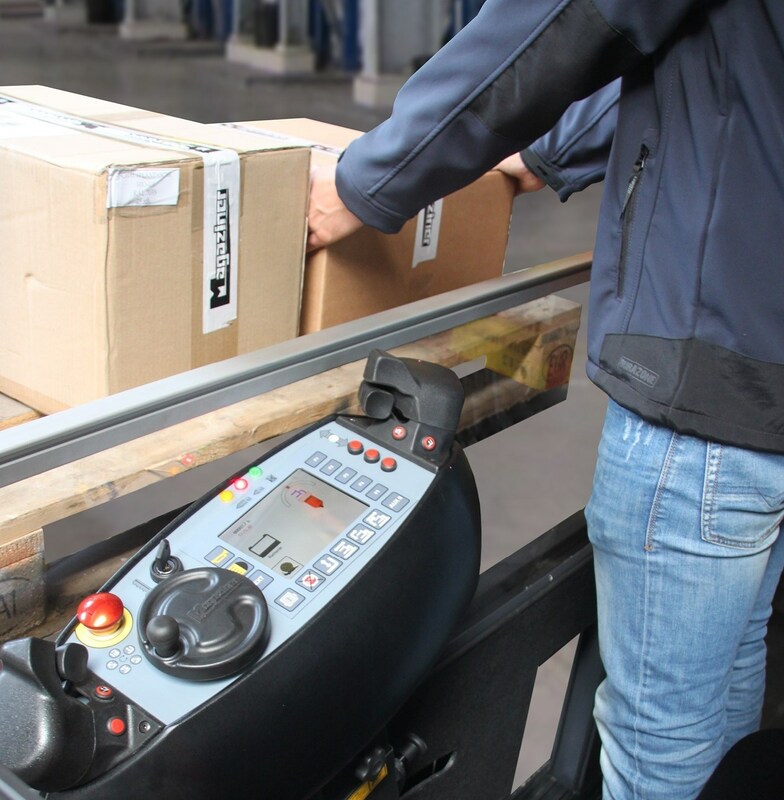 Slow down and zone recognition systems allow the truck to adapt to your warehouse. End of aisle slow down, overhead obstructions, etc are easily catered for. RFID functionality for semi and fully autonomous operation. Available with UniCarriers Vehicle and Operator Management System for driver and fleet activity at a glance. Our fully customisable tool is an information service designed to reduce overall costs while increasing productivity, safety and accountability. Cold store cabin includes double glazed heated glass and in-cabin heater. A high quality cabin for the most demanding applications. 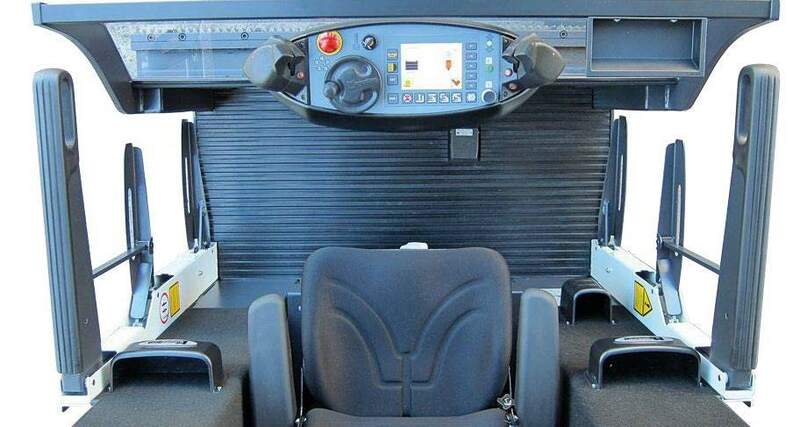 The driver feels safe and secure in an enclosed, ergonomically designed cab which offers the freedom to work unhindered. Easy access with wide entry gates and a broad range of options increase the machine’s functionality and comfort. A smooth drive combined with the unique mast design and extreme stability of the vehicle provide the operator with a sense of security while allowing optimised drive speeds for the given floor surface. As the vehicle’s centre of gravity is low to the ground, the overall stability is improved. The EK Series exceeds industry standards for static and dynamic lean, affording increased safety without compromising operational efficiency. A ‘clear-view’ mast design provides the operator with a broad view of the load and the aisle. Highly accurate controls along with the compact chassis mean that the machine is easy to manoeuvre outside of the aisles. Excellent visibility and the small turning radius reduce the risk of accidents and damage, thereby improving safety. All combi-trucks in the EK series are supplied with AC motors. The battery compartment is easily accessed for checks and changeover – allowing for minimum energy consumption and a long service life. The EK-series uses the latest technology; the stable chassis ensures optimum energy use and maximum operational cycles, allowing the trucks to work extended hours on each battery change or operate with smaller batteries.